WASHINGTON — A 30-minute armed robbery spree Wednesday night has capped a monthlong rise in such crimes, which have plagued neighborhoods south and east of the U.S. Capitol and have prompted D.C. police to add extra patrols in the area. Adding to mounting concerns, two people were shot Friday morning in the same section of the city. “Understandably, it’s got a lot of neighbors on edge (and) a lot of neighbors frustrated myself included,” says Ward 6 D.C. Councilman Charles Allen, who represents the Capitol Hill and Navy Yard areas. Allen says D.C. Police Chief Cathy Lanier toured the area Thursday night looking at hot spots to determine what the needs are. And she’s promised to do more. “The First District has experienced a recent uptick in street robbery offenses over the past 30 days. To address this, overtime patrols within the Pennsylvania Avenue corridor in Southeast have been extended and increased,” Lanier said in a statement to WTOP. “Investigations and arrests are continuing,” Lanier says. 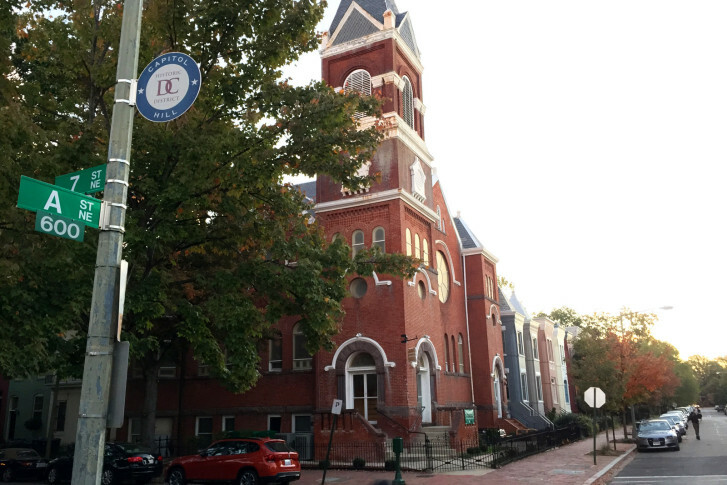 The police department’s First District covers much of the ward Allen represents, with Pennsylvania Avenue cutting through the heart of the community. Police say they’ve made eight arrests for robbery since Oct. 1 in the area. Allen says there’s been an arrest and multiple people detained in Wednesday’s 30-minute crime spree that started just before 9 p.m.
During that short time, there were five armed robberies reported in the areas near and in-between the Navy Yard and Potomac Avenue Metro stations. They are believed to be the work of the same group of individuals, police say. “Several of these offenses including two this morning are believed to be the work of the same small group of suspects,” Lanier says. Both victims of Friday morning’s shootings are recovering in local hospitals, according to D.C. Police Lt. Sean Conboy. The shooting at Pennsylvania Avenue and 13th Street happened around 10:20 a.m. The shooting on First Street SW near National’s Park happened around 9:05 a.m.
Allen hopes the additional officers promised by Lanier help restore the community’s confidence in public safety. “I want them out of their cruisers, I want them out from behind the windshield and on our sidewalks talking with neighbors to help restore that confidence,” Allen says.